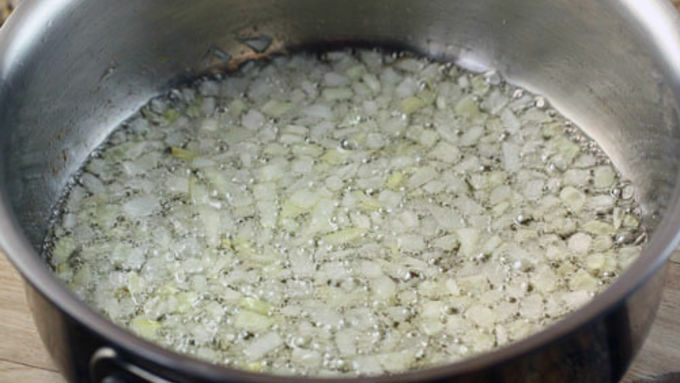 Mince onions and add them to a medium pot with oil over medium heat. Cook until onions are soft. Add Dr. Pepper and tomato sauce and bring to a simmer. 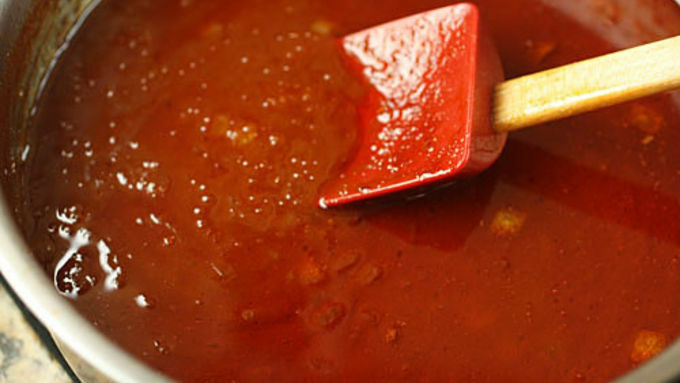 Simmer BBQ sauce, stirring frequently until sauce reaches desired consistency. Depending on your tastes that could be 60-90 minutes. I like mine a bit on the thicker side. Be sure to taste it near the end and season with salt or adjust any other flavors that you want more of (more vinegar for example). Some people can be PRETTY opinionated on it, and with good reason. A decent sauce can raise your grilling to new levels! But at the same time, some of the sauce recipes I've seen have dozens of ingredients and take hours of simmering, stirring, tasting, blending, and more simmering to get to the final product. This recipe is a nice halfway point between store bought sauce and all-day homemade sauce. It has only a handful of ingredients and takes 60-90 minutes to make – which in BBQ sauce world, isn't all that bad. 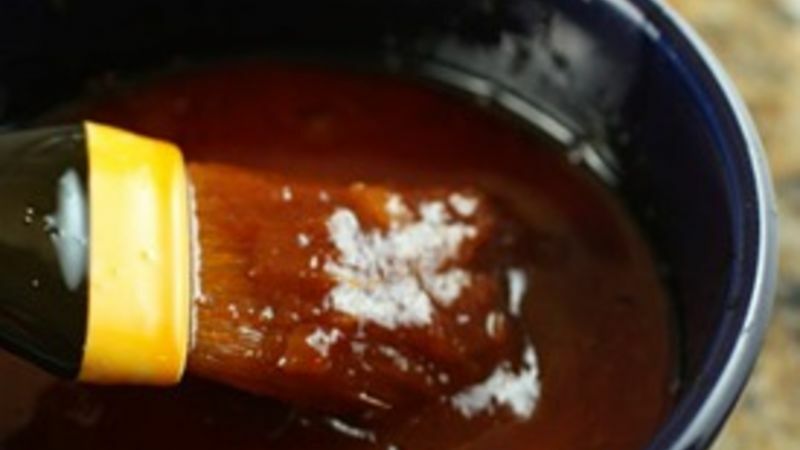 The trick to this Dr. Pepper BBQ Sauce recipe is using soda to replace some of flavors in our BBQ sauce. It'll also be providing most of the sugar. In reality, you can use any soda at all in this recipe. I'm not a huge soda drinker (maybe one a week) but Dr. Pepper is one of my personal favorites, so that's what I used. Besides the soda, you'll need some basic BBQ sauce ingredients: onions and tomato sauce. While there are some interesting flavors in soda, I decided to add a few flavors that I particularly like in a BBQ sauce. This included a small amount of brown sugar, honey, and most importantly, some vinegar. You really need vinegar to cut through all the sweetness from the soda. You could blend the sauce to make it perfectly smooth at this point, but the whole onion bits don't bother me at all so I leave it kind of chunky. 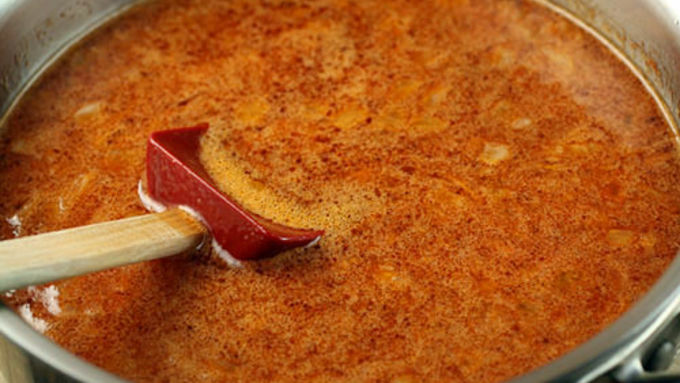 You could slather this stuff on all kinds of grilled foods, from meats to veggies. I put it on some chicken and it was fantastic! As with most BBQ sauces, you don't want to start adding it to the food until the end or it will burn. BBQ sauce purists might scoff at this recipe – and it probably won't win any BBQ awards – but I found it to be pretty darned delicious!